He was lucky to wake up famous and get the status of a Hollywood star after the release of a fantasy series about the travels of Hercules. The ancient Greek demigod turned Kevin Sorbo into an actor, who was spoken by everybody: film critics, colleagues. The film occupied a niche in the world cinema, became a classic and determined the way of development of the genre. A creative biography of the artist developed in the ascending: Sorbo managed to break out of the hero of one role and play characters in various film genres. But Hercules became his calling card forever. The future Hollywood celebrity was born in September 1958 in the small town of Mound, located in Minnesota, USA. Sorbo`s family had an indirect attitude to art, his parents loved theatre and cinema. Kevin's mother, Ardis, worked as a nurse. The head of the family, Lynn Sorbo taught mathematics and biology to children at a local school. Kevin's parents have Scandinavian roots, so his son was brought up in the tradition of Lutheranism. As a child, the boy did not even dream of theater and cinema. Like all his peers, Kevin preferred to spend his free time on sports grounds and in gyms. Over time, the sport turned young Sorbo into an athletic young man and predetermined his career mainly. When the guy celebrated the coming of age, he was 75 feet (1.91 m). 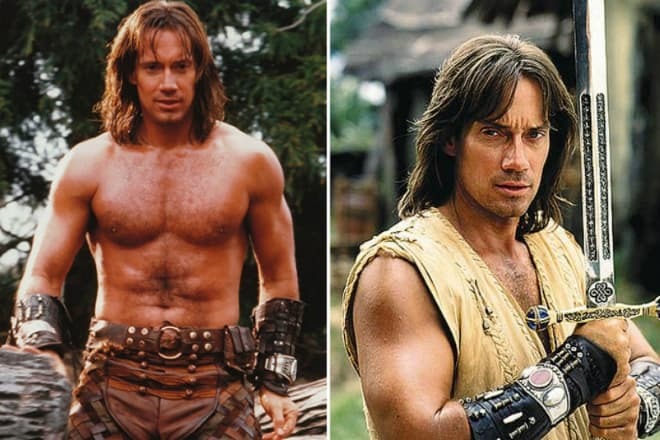 When Kevin Sorbo grew up, he gained weight 198 lbs (90 kg), it added only masculinity to his height. Such a handsome man could not remain in the shadows: the guy drew the attention of advertising agents. 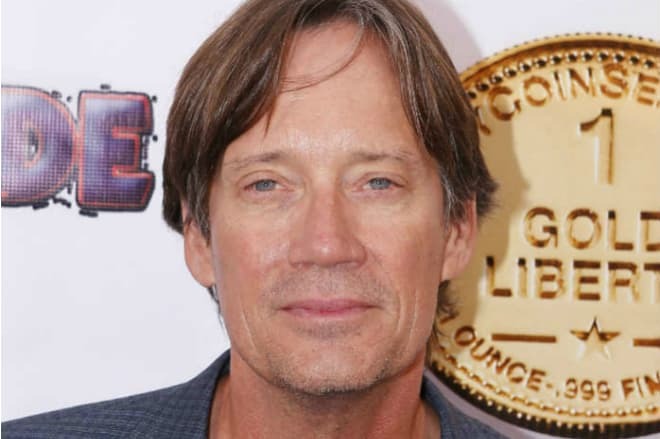 Working in advertising, Kevin Sorbo was interested in acting. The desire to appear on the big screen as a film actor strengthened with each role. After graduating from school, the guy went to university, choosing the faculty of architecture. His parents insisted on a "serious" profession, considering that the acting is the youthful pastime of Kevin. But Sorbo could not resist appearing on stage at the university: he went on the scene of the student theater. Stormy applause finally strengthened Kevin, it made him think that he was on the right way and architectural design was a mistake. 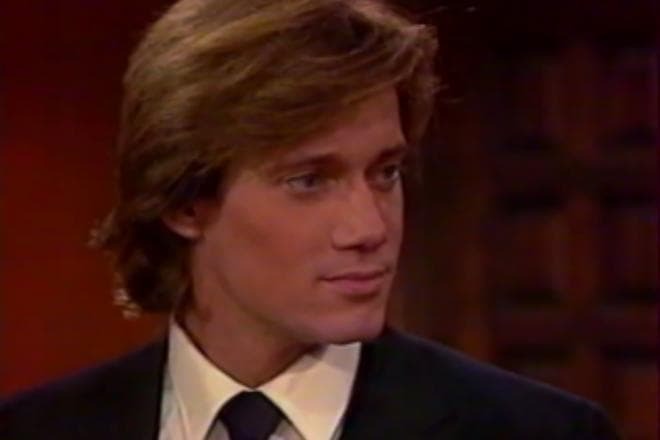 In 1981, Kevin Sorbo left the prestigious faculty, upset and surprised relatives. But the young man was adamant: he moved to Dallas, he joined the troupe of the local theater. It was more difficult to be on the professional stage than on the student stage but the aspiring actor was not going to stop halfway to the goal. Soon Sorbo was convinced that he should go for fame in the heart of the world cinema, in Los Angeles. He went in the mid-1980s there. At first, viewers saw Kevin Sorbo on the screen in 1986 but they hardly remembered him. After all, the young actor entrusted only an episode in the sensational melodrama Santa Barbara, where he played a pizza delivery man. However, a ticket in the world of Hollywood cinema was bought. Soon Sorbo was invited to play the heroes of the second plan in other rating series. These projects did not glorify the American but increased his skill. The actor did not get tired of attending auditions for new projects and believed that his star role was ahead. It happened in 1994 when the director Bill L. Norton invited him to play Hercules. The tape had such a success that it lasted in 5 full-length films and Kevin Sorbo played the key character. 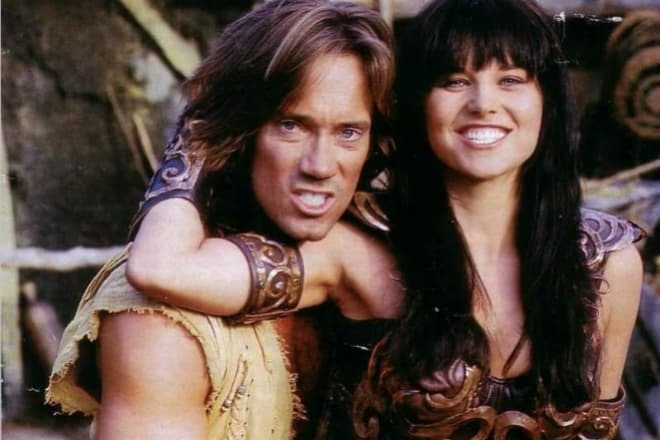 In the mid-1990s, when the fifth picture was filmed, shooting of the series Hercules: The Legendary Journeys started, it lasted four years. And the fans of a fantasy thriller saw their favorite actor again in the image of the Greek demigod. At the same time, there was the shooting of the episode Xena: Warrior Princess, where Lucy Lawless played the main character. The role of her friend Hercules went to Kevin. 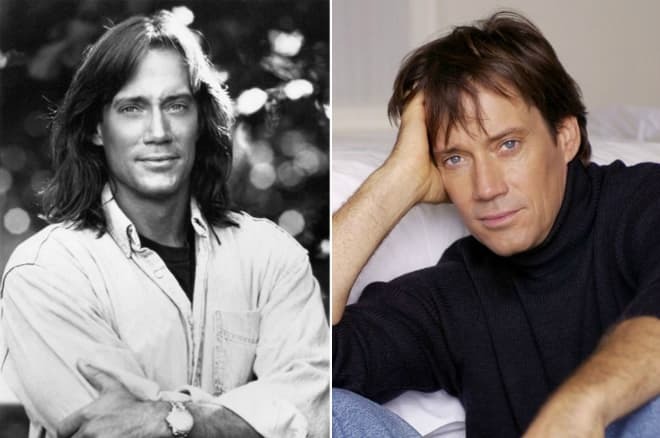 In 2000, Sorbo fans received a gift from their favorite artist: he starred in the series Andromeda, it lasted five seasons. Kevin appeared in the title role of the courageous captain of the cruiser Dylan Hunt. 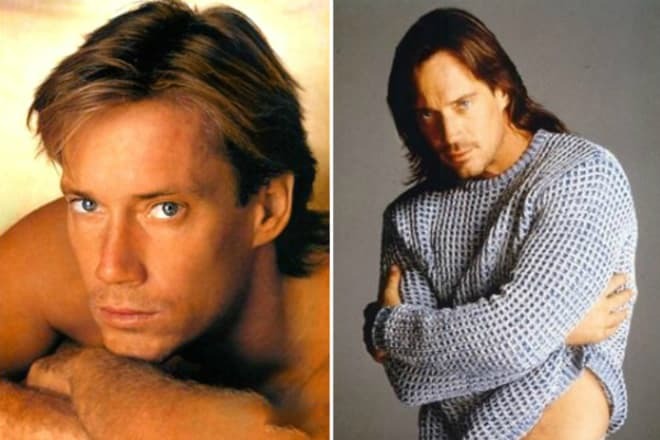 Kevin Sorbo became the superstar and had fan clubs all over America and Europe. Paparazzi and critics followed closely for the personal lives of their favorite. Critics respectfully stated that the artist, who turned into a demigod for many years, managed to break out of the role, playing Hunt. In 2004, Kevin Sorbo again surprised and pleased fans and critics, playing brilliantly a dramatic character in the film Clipping Adam. People talked about the star as the multifaceted and deep actor, who could turn into any role. The bright films were released in the 2000s, where the Hollywood actor appeared and these films were Hostage, Meet the Spartans, Poolboy. 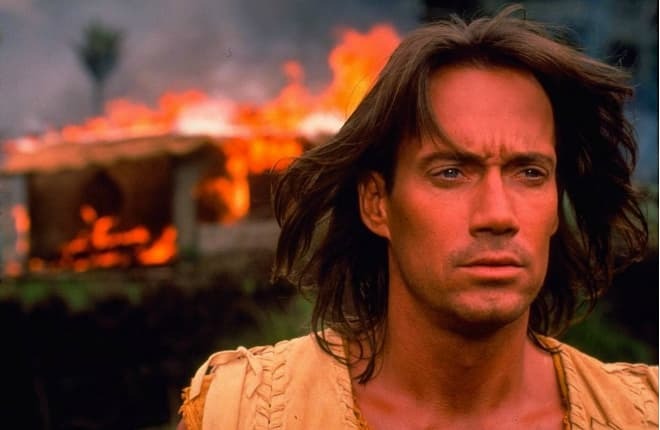 Kevin Sorbo starred a lot and tirelessly. 8-10 tapes per year came out with his participation but most of the projects were under harsh criticism. The peak of popularity was left behind in the 1990s. In 2017, the actor tried himself as a director, shooting the film Let There Be Light. He played the main character by himself. Fans love the artist not only for his talent but also for his impeccable reputation and loyalty to his wife. 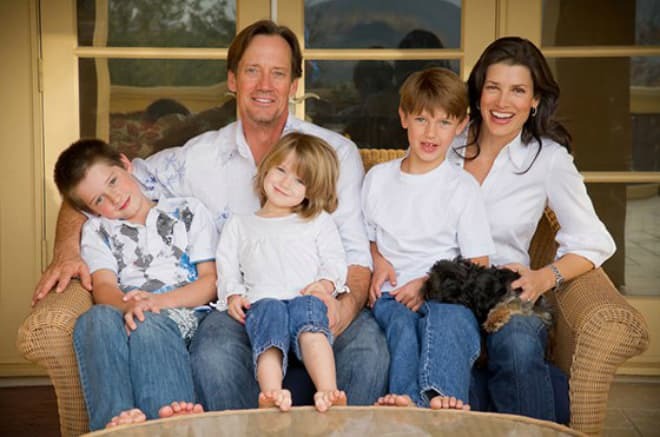 Kevin Sorbo has an exemplary marriage and a strong family. In his youth, the actor spent all his time on the set, not devoting time to his personal life. He married at the age of forty, taking in wife his colleague Sam Jenkins. Since 1998 and to this day the actor lives with Sam, refuting myths about infidelity and frivolity of Hollywood stars. The couple has three children: the sons Braedon and Shane and the daughter Octavia. The girl was born in 2005 when the head of the family was 47 years old. The actor is active on the set and in everyday life. He never left sports and when he became a star, he was interested in charity. 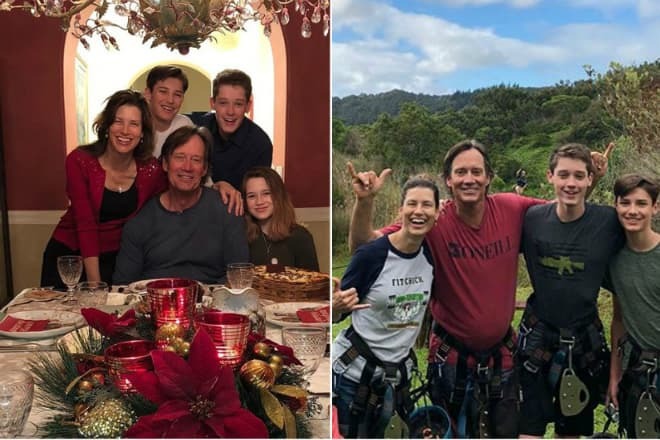 Sorbo made pages on Instagram, Twitter and Facebook in November 2015, where he posts new photos and pleases subscribers with news from personal and professional life, telling about children and the expansion of the filmography. 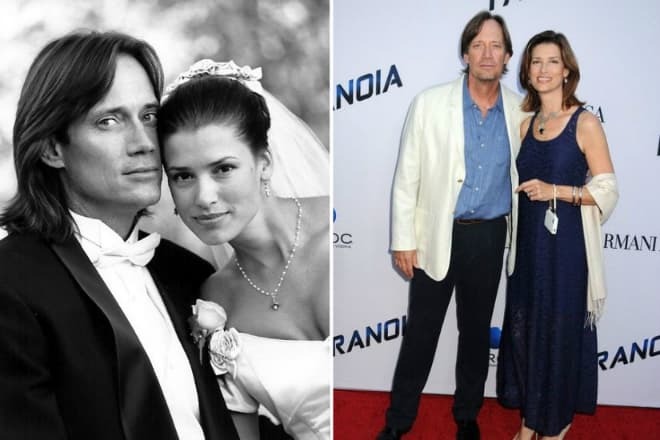 In 2012, Sorbo suffered a loss, his father died. In 2018, the artist pleased film fans and fans with the appearance in the project The Last Sharknado: It's About Time. The picture is a mix of various genres: horror, fantasy, science fiction and comedy. 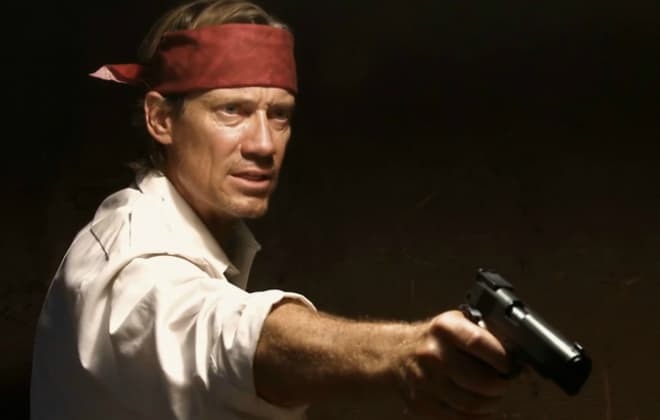 Another film with Kevin Sorbo, which premiered in 2018 is the adventure film Bernie The Dolphin. In the same year, a Hollywood celebrity shocked fans by the recognition of sexual harassment in his youth, which “Hercules” allegedly suffered from the legendary couturier Gianni Versace. The designer liked the strong, handsome man of gigantic stature and he repeatedly invited him to parties where he tried to be alone with Kevin. Sorbo rejected the harassment of the Italian, stating the traditional orientation and love for women. The artist keeps the intrigue, not revealing plans for projects, in which he starred in 2019. He is still active, energetic and in great shape. 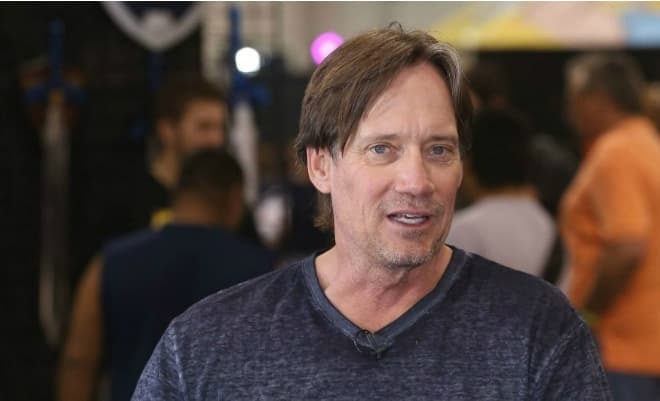 Kevin Sorbo does not have a star disease: the actor resisted flattery and praise, he could remain a simple and easy-going man.